In 1969, the iconic Boeing 747, better known as the Jumbo Jet, first took to the skies. In the half century since, the evolution of commercial aircraft has brought us increasingly comfortable, efficient and safe aircraft, but one thing hasn’t changed: the length of the journeys. The supersonic Concorde, which substantially cut transatlantic flight times, was only ever an option reserved for the elites. 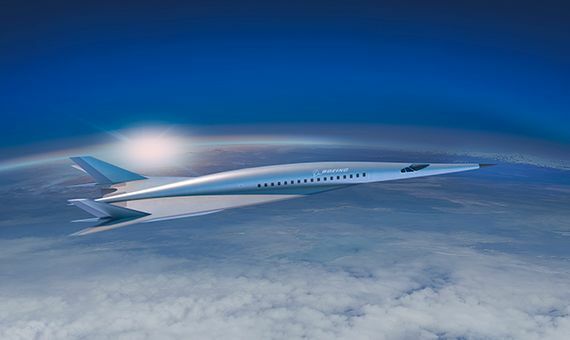 Nowadays, although there are plans underway to revive supersonic flight, there are those who are looking even further ahead, towards the hypersonic plane: from Europe to Australia and back taking the length of just a workday. The difference between supersonic flights —the Concorde used to fly at 2,180 km/h, approximately Mach 2, or twice the speed of sound— and hypersonic flights —Mach 5 and above— is not a question of just giving more gas to the engines, but will require certain technological advances. In most modern aircraft, fans compress the air needed to fuel combustion. These turbochargers or turbofans are suitable even for supersonic flight. However, at hypersonic speeds the turbines would disintegrate, and therefore other types of thrusters without moving parts are needed. 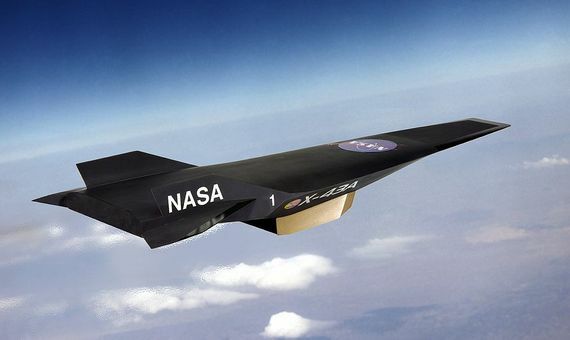 “Today, manned hypersonic flights are only possible with rocket propulsion, such as those used in space missions,” explains Iván Bermejo-Moreno, an aerospace engineer at the University of Southern California who specialises in hypersonic propulsion, to OpenMind. In these cases, the spacecraft carries its own reserve of liquid oxygen for combustion, “which gives them autonomy outside the atmosphere, but increases weight and volume,” says Bermejo-Moreno. These rocket engines have been tested in projects such as the U.S. Air Force (USAF) X-15 and by NASA, which in October 1967 set the speed record for a manned, powered aircraft at Mach 6.7, or 7,274 km/h. The main alternative to rockets are ramjets, and more specifically their supersonic combustion variant: the scramjet. The advantage of this thruster is that it works with atmospheric oxygen, which is compressed in the engine thanks to the aircraft’s own speed, which avoids the use of turbines. In exchange, its disadvantage is that “it needs to fly at hypersonic speeds to start operating, so it must reach that stage with other propulsion systems, such as jet engines, afterburners and ramjets,” notes Bermejo-Moreno. 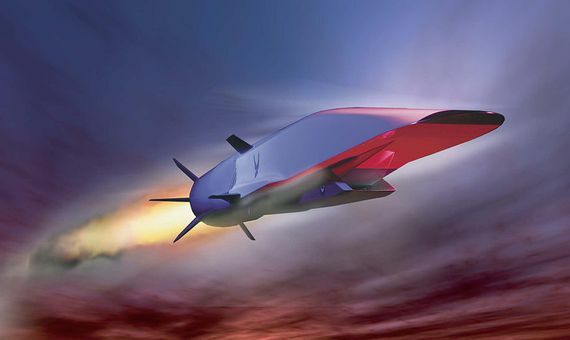 The example of the X-51 points to the current direction of research into hypersonic propulsion: it has been said that the technology demonstrated in this project could be applied to the development of hypersonic missiles, currently underway in the USA. China and Russia are also driving this new generation of weapons. But although military applications today seem to be the most prominent and viable in the short term, new concepts for passenger transport may emerge from these developments. “Today military aspects are in the spotlight, but tomorrow it could be again civil,” Johan Steelant, an aerospace engineer with the European Space Agency (ESA), tells OpenMind. Steelant has been the coordinator of LAPCAT (Long-Term Advanced Propulsion Concepts and Technologies), a set of two projects funded by the European Union aimed at exploring the path to a hypersonic aircraft for antipodal flights, capable of travelling from Brussels to Sydney in four hours. According to Steelant, the work initiated by LAPCAT has been continued in other initiatives, including SKYLON, a project for a reusable space launcher that can travel at Mach 5, and STRATOFLY, a craft for transporting passengers at Mach 8. In anticipation of hypersonic flights taking off, industry leaders don’t want to be left behind. Building on its previous experience, Boeing presented in June 2018 its concept for a Mach 5 aircraft, a speed chosen because it would allow the use of conventional materials such as titanium; at higher speeds, the 1,000 °C that the fuselage can reach due to friction requires the use of new ceramic materials. This crucial aspect reveals that not only must propulsion technology progress, but there are still countless technological challenges ahead in terms of the structure and manoeuvrability of the aircraft, as Javier Urzay, an aerospace engineer at Stanford University who specialises in hypersonic propulsion, explains to OpenMind. 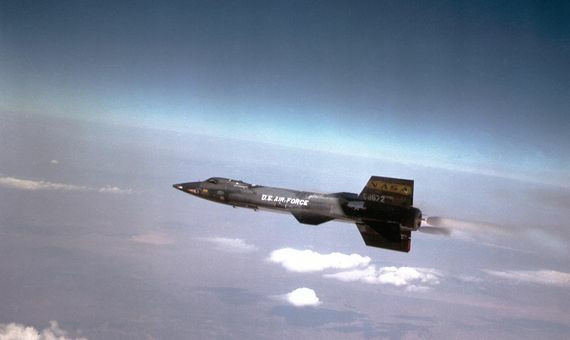 “The state of development of manned and powered hypersonic aircraft inside the atmosphere is still at a very early stage,” he says.